With laser welding the ability to work on extremely small details makes the technology ideal for Jewellers and Goldsmiths. It is far easier, quicker, and cleaner than using conventional methods of soldering, welding, and fusing – and with much better results consistently achieved. In contrast to normal soldering techniques or conventional gas welding, a homogeneous melt is produced at the fusion point of the metals to be joined, without discolouration, spots, or beads. This makes physical or optical quality defects and costly reprocessing a thing of the past, saving time and money. 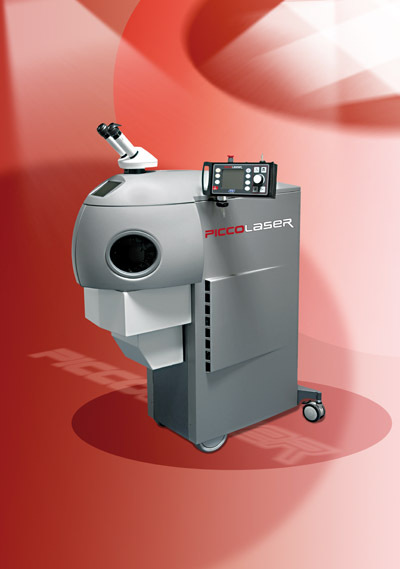 So, if you are interested in introducing a laser welding system, what else should a Manufacturing Jeweller look for? There are obviously a number of factors to consider but ‘Peak Power’, is one key laser parameter that makes the difference with the laser welding of precious metals and jewellery items. It is one of the most important technical parameters to consider with laser welding, to get the results that you require. 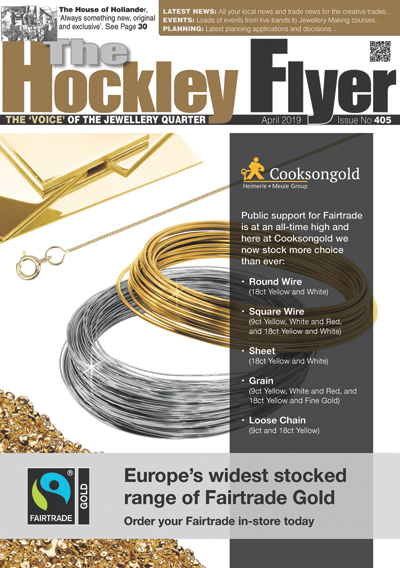 Jewelcast, based in the Jewellery Quarter in Birmingham, found this to be the case when they were recently looking to buy a new laser welding system, for welding Gold, Silver, and Platinum. After taking an extensive look at a number of different laser welding systems, they selected and bought the new PL100 Piccolaser from Laser Lines in Banbury. Precious metals (Silver and Gold in particular) have very low levels of absorption when compared with conventional steel alloys, so high peak power – which is in effect the amount of power in each pulse the pulsed laser system generates – makes it possible to create the ‘fast melt effect’, that is required to successfully weld precious metals with surprising speed and ease. Demonstrations and trials on precious metals, followed by the loan of a laser welding system, ensured that Jewelcast was more than happy with the system proposed by Laser Lines and that it would do exactly what they wanted it to do. The system was equipped with some simple but useful features: an ‘air cooling stream’, to cool the highly conductive precious metals being welded, a ‘variable lighting system’ to minimise glare when working on reflective polished parts, and an optional ‘powered movement table’. The Piccolaser was developed specifically for jewellery applications, with these features worked into the design following feedback from Jewellery professionals on what they wanted and required in new laser welding technology. Laser Lines Ltd in Banbury offers a wide range of laser welding and laser marking and engraving systems for jewellery and other applications and will be exhibiting and demonstrating laser welding systems in the Jewellery section at the forthcoming Spring Fair at the NEC, from the 1st – 5th February 2015. Laser Lines is keen for people to come along and use the system to see just how easy it is to operate and to achieve excellent consistent results – please bring your own gold though!